With past host Donald Trump now a presidential candidate, NBC is scrapping its plan to produce a new season of "The Celebrity Apprentice" this fall. But the reality show will be back someday, NBC Entertainment Chairman Robert Greenblatt said Thursday. He told television reporters that a new season will be filmed for the 2016-2017 television season, which starts in September 2016. 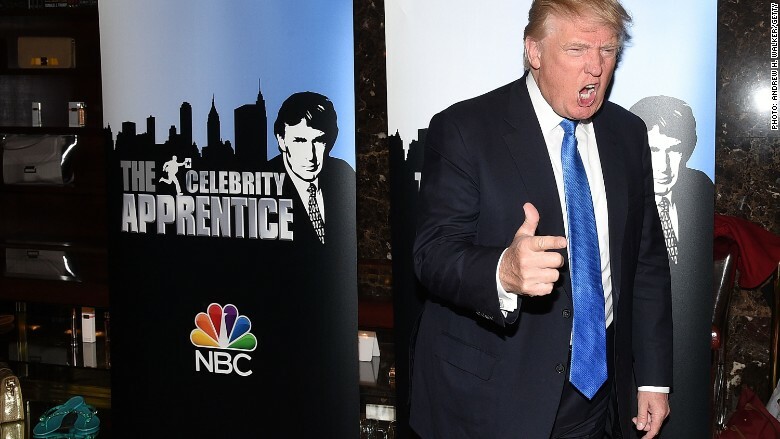 Greenblatt said the "Apprentice" will have "a new host," but didn't name any names. When pressed on whether Trump could wind up back on the show, Greenblatt said, "Absolutely not." The new timeline gives the network a while to figure out who to hire. Back in February NBC ordered a new season of the show, with Trump as host, and it was set to enter production in the fall. Then Trump entered the presidential race. NBC soon severed its ties with him. When NBC parted ways with Trump, the network pointedly said, "'Celebrity Apprentice' is licensed from Mark Burnett's United Artists Media Group and that relationship will continue." In July NBC and Burnett's company began having brainstorming conversations about potential new hosts. Lots of names have been floated, including ABC's "Shark Tank" star Mark Cuban, past "Apprentice" winner Piers Morgan and past contestant Omarosa Manigault. Now there's no urgency in the casting process, since the new season won't premiere for at least a year. At a press event with journalists on Thursday, Greenblatt also commented on NBC's joint venture with Trump for the Miss Universe Organization, which holds the annual Miss USA and Miss Universe pageants. NBC canceled its planned telecast of Miss USA in July due to the uproar over Trump's controversial comments about Mexican immigrants. But the network's parent company, NBCUniversal, still owns half of the organization. Greenblatt said NBC is "almost done" selling its stake. He didn't specify the purchaser.